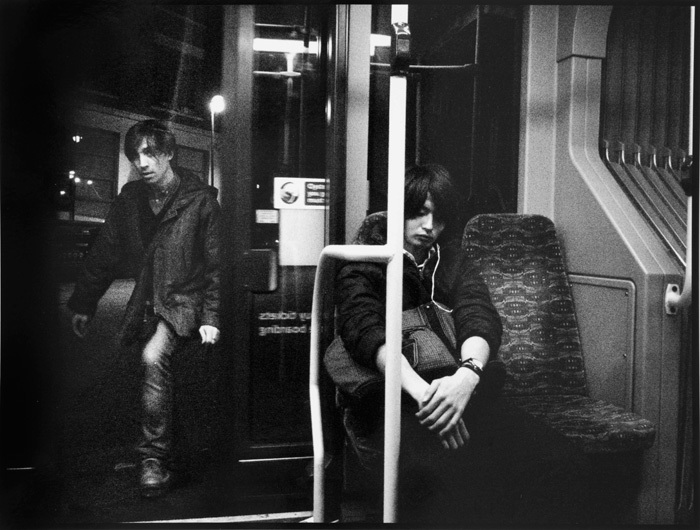 On a number 38 ‘Bendy’, Islington, 2006. Photo © Tim Marshall. The Routemaster was made to measure, Savile Row tailored for the city, ‘an attractive piece of street furniture’ specifically built for London. It exemplified the highest ideals of a public-spirited passenger transport service – physical evidence that London and ordinary Londoners should have the very best. ‘A handsome city deserves a handsome transport’ as All That Mighty Heart, the London Transport film, proclaimed in 1962. We loved it, not because it was old and quirky, but because it was bloody good. Well made. Importantly, it was greeted as an equal. It respected our custom. It was comfortable. Convenient. Efficient. We were free to get on and off, within reason, when we wanted to. ‘Passengers’ an old London transport motto maintained, ‘are our business not an interruption to our service.’ And on a Routemaster you could believe in that too. Of course it grew out of and was born into another world. The society it was created to serve was more, or more visibly, stratified. It was a world with a certain intolerance of difference; you might see in its straight rows of seats a reflection of those times. A bus built for a city known for forming orderly queues rather than for wild alcoholic sprees; for a city of parsimonious coupon-snippers rather than designer-label consumers. It’s a bus that can exclude (the disabled, the pushchair), I concede. I prefer, however, to see a more egalitarian spirit at work. It was designed for (nearly) everyone, and everyone aboard is equal. By its careful, skilful design, it was intended in some small was to elevate an everyday experience. By contrast, the metaphors many modern buses offer are slightly depressing. Their designs indicate troubled minds; seats on different levels, seats back to front, lurid playpen fabrics and colour schemes, straps at unusable heights, lava-lamp globules of extruded plastic at every turn and a soundtrack of bleeps and ticks, the Bendy’s have all the aesthetics of the inside of a Hoover attachment. New double deckers are huge, boxy, noisy and unwieldy. They look deformed, bulked out like Action Man after Hasbro pumped him full of steroids and turned him into some kind of inhuman gym-bunny cyberpunk in the 1990s. The average speed of a London bus continues to hover around 11 mph, and yet the engines on these vehicles seem tuned to accelerate with a speed and abruptness previously reserved for propelling dogs into space. * Published by Granta Books.